I’d like to thank Michael’s for sponsoring this, as always, all opinions and content are my own! 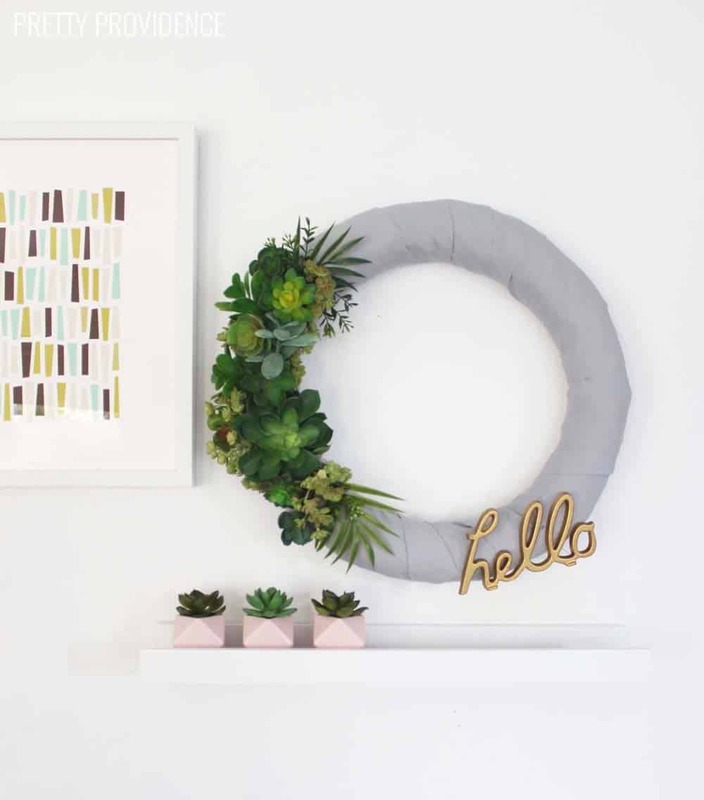 Make this easy, neutral succulent wreath to add some color to your walls or front door! 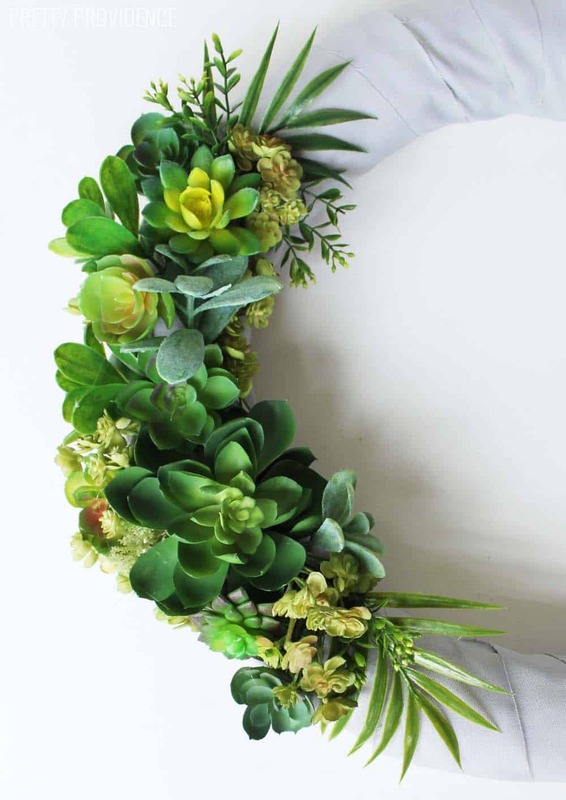 This is not the first succulent wreath tutorial I have shared, but it is my new favorite! What can I say? I like what I like, and I like succulents. A lot. 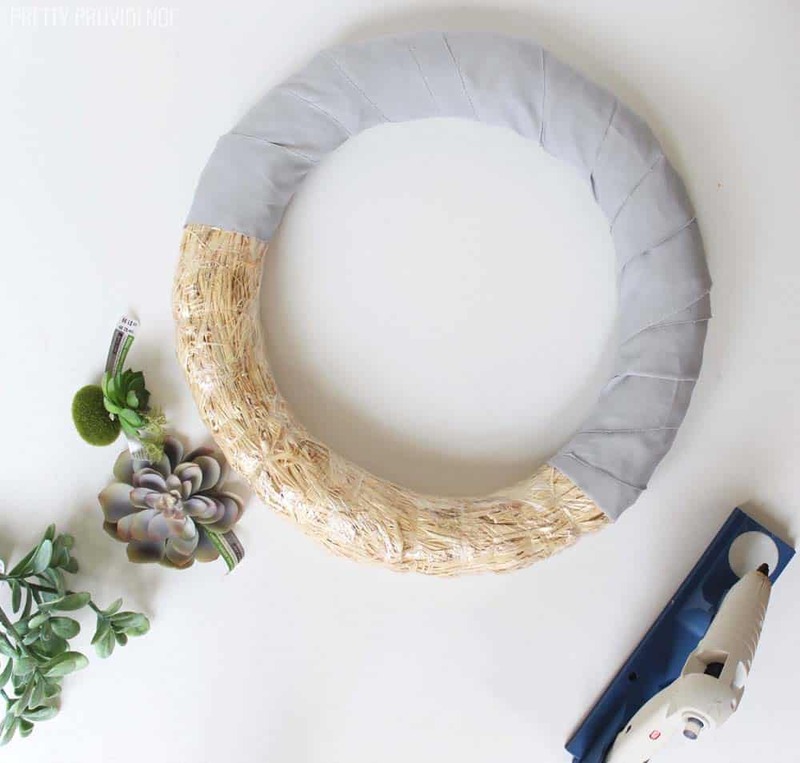 To spruce my home up for spring, I wanted to make a wreath that was springy but also neutral, so that I won’t feel like I need to take it down as soon as the season is over. 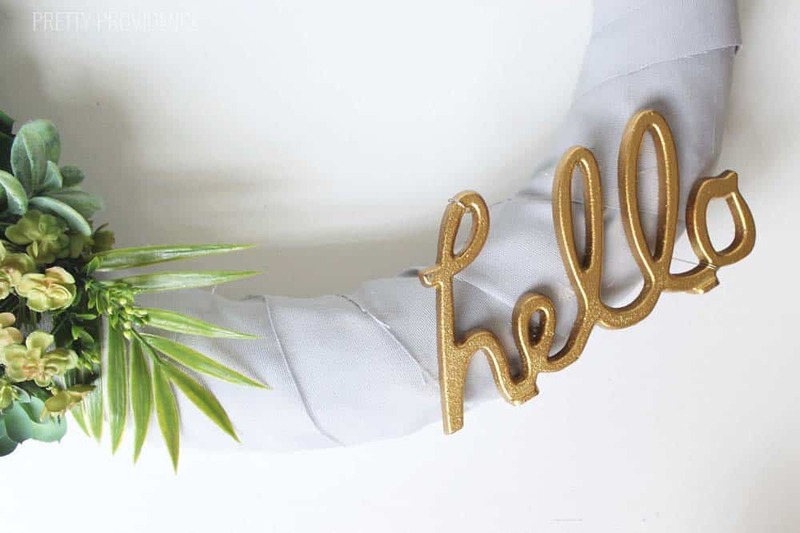 When I found this gold ‘hello’ at Michael’s I knew it was destined to be added to a wreath for my entry way! 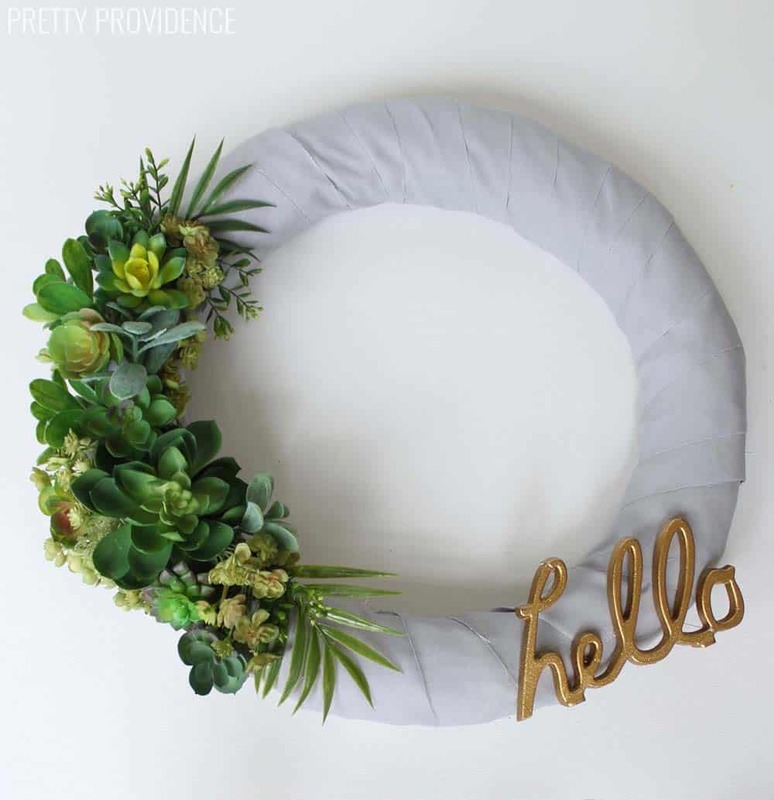 Step 2: Use hot glue to attach faux succulents to one side of the wreath- however you like! There is no science to this. 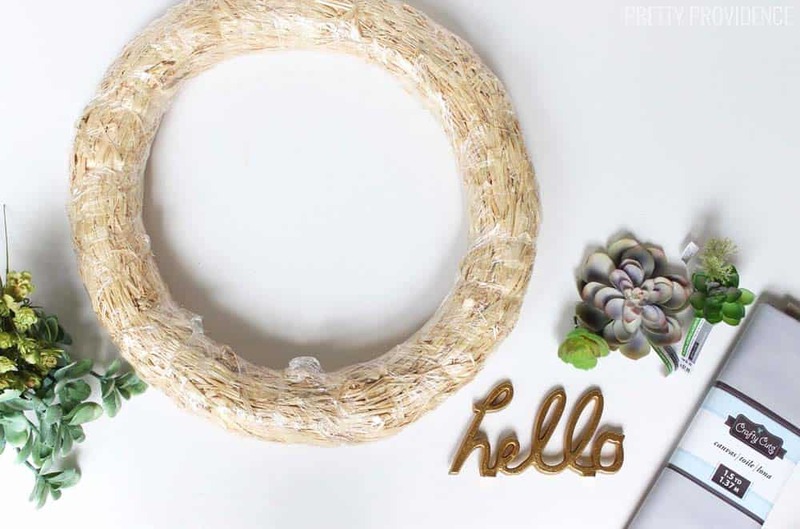 Step 3: Use hot glue to place metal ‘hello’ where you like, then use craft wire to attach it better! The metal is too heavy for hot glue to keep it on by itself. Here is a close up of all the different faux succulents and greenery I used. I like to buy a bunch when they are on sale and then just play around with it until I get an arrangement I like! Isn’t it fun? 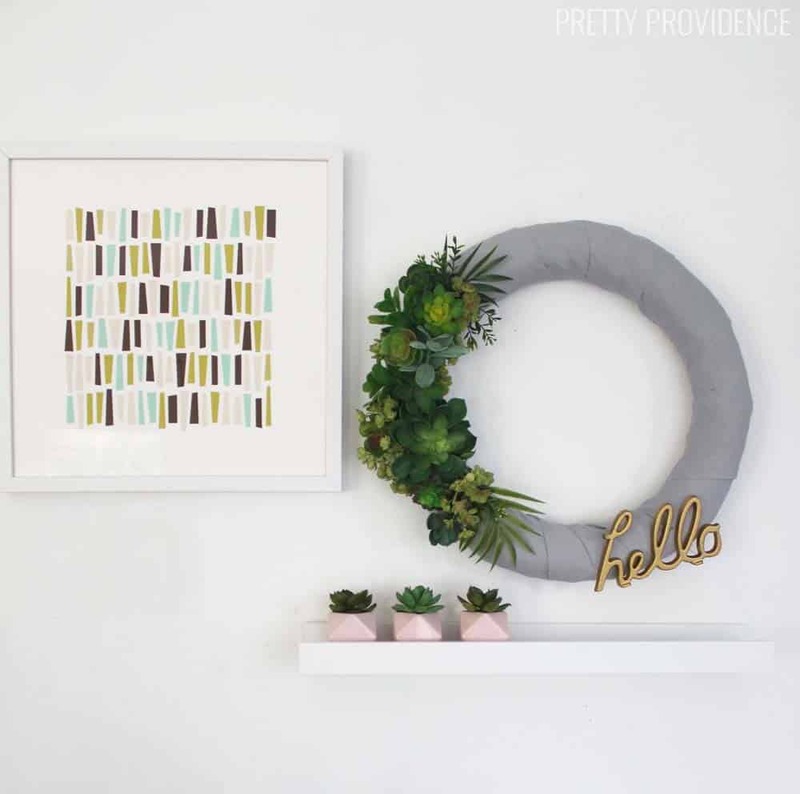 Making your house a little brighter is really just as easy as gluing some faux florals onto something. This is the perfect touch of green I have been wanting to add to my entry way!